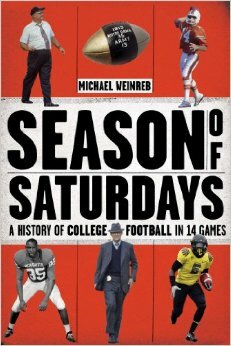 “It is, simply, the best college football history written in the last 50 years. It is history as history should be written and told, a very human story of coaches, players and events, some funny, some serious, some tragic and some ironic, that shaped the game we play and love today.”—David Housel, longtime Auburn athletic director. Every Saturday in the fall, it happens: On college campuses, in bars, at gatherings of fervent alumni, millions come together to watch a sport that inspires a uniquely American brand of passion and outrage. It’s a sport that so often hinges on the unpredictable: A hook-and-lateral, a Hail Mary, or a play so implausible that it is only known as The Play. It’s a sport that, in these moments, feels a bit like life and death, if only slightly more important. 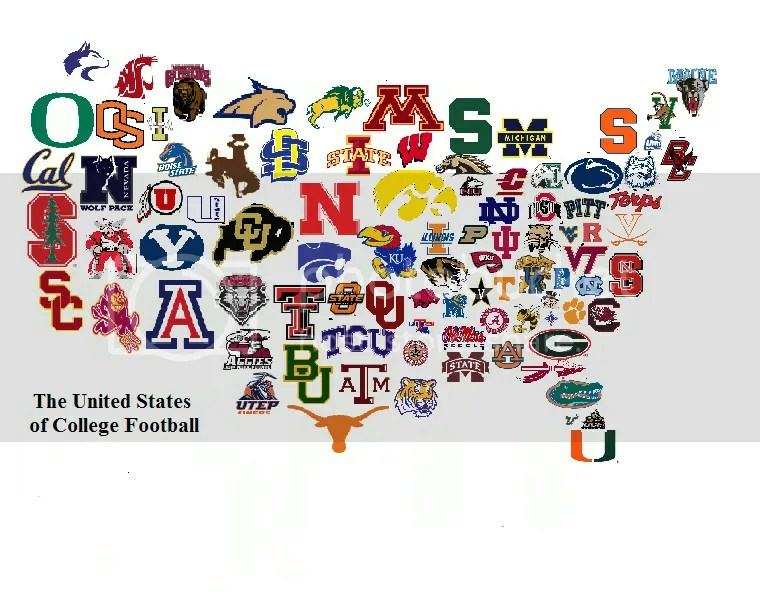 This is college football: It’s become one of the unifying cornerstones of American culture. Since the first contest in 1869, the game has grown from a stratified offshoot of rugby to a ubiquitous part of our national identity. Right now, as college conferences fracture and grow, as amateur athlete status is called into question, as a playoff system threatens to replace big-money bowl games, we’re in the midst of the most dramatic transitional period in the history of the sport. Season of Saturdays examines the evolution of college football, including the stories of iconic coaches like Woody Hayes, Joe Paterno, and Knute Rockne; and programs like the USC Trojans, the Michigan Wolverines, and the Alabama Crimson Tide. Michael Weinreb considers the inherent violence of the game, its early seeds of big-business greed, and its impact on institutions of higher learning. He explains why college football endures, often despite itself. Filtered through journalism and research, as well as the author’s own recollections as a fan, Weinreb celebrates some of the greatest games of all time while revealing their larger significance. Part popular history and part memoir, Season of Saturdays is both a look back at how the sport became so entertaining, yet fraught, and a look ahead at how it might survive another century. A Preface about the author’s repeated attempts to justify the existence of a sport that often defies rational sense. The origins of football on campus, the Ivy League, early protests against the game, and how college football has always been a push-and-pull between progressivism and conservatism. 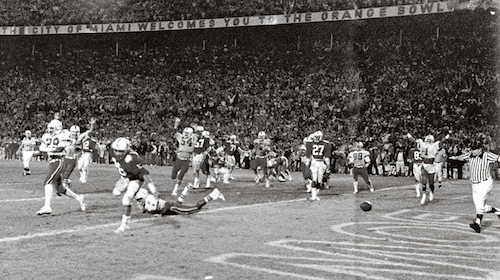 The Gipper, faith, superstition and the abiding mythology of college football. Woody Hayes, Ohio State, the iconography of the paranoid and dictatorial Cold War football coach, and how that reflected the times. The iconic 1966 tie game between Notre Dame and Michigan State, and college football’s dovetailing with the Civil Rights Era and the fraught politics of the era. 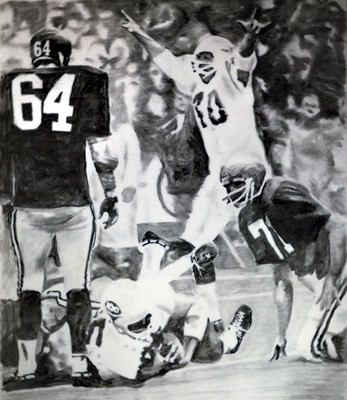 Texas versus Arkansas in 1969 and how college football became a reflection of Nixonian political calculation. 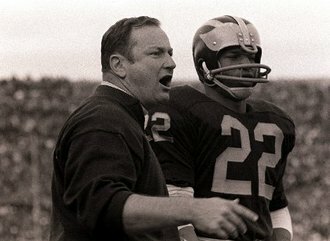 Bo Schembechler, Michigan, and why the Big Ten’s best days are probably behind it. 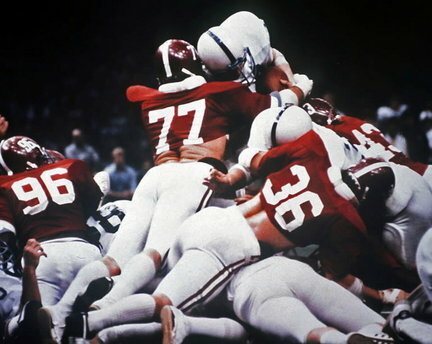 Penn State versus Alabama in 1978: the author’s first formative college football experience meets the legacy of Bear Bryant (by the length of one’s tallywhacker). Tom Osborne goes for two and loses, but also wins. Miami, Southern Methodist University (SMU), and how the rule-breaking programs of the 1980s were actually pushing progressive ideals within the sport. The 2005 Rose Bowl and why college football is more interesting than the NFL. The rise of Boise State and an exploration of why, in college football, the underdog has never really caught on. The rise of the spread offense and the “trickster coach”—most notably Steve Spurrier, at Florida, and Mike Leach, at Texas Tech. Why this chapter seems like it should have been about a great Oregon/Alabama game, and the ultimately untamable nature college football. 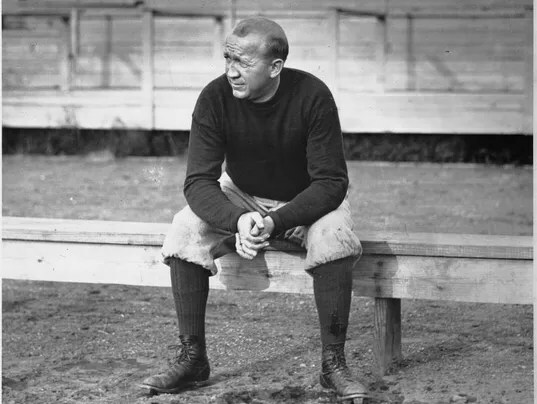 The Penn State scandal, the rise and fall of the University of Chicago’s football program in the early 20th century, and the reassertion of college football as a force that gives us meaning. Michael Weinreb writes about college football for Sports on Earth, the USA TODAY/MLB Advanced Media affiliated online magazine. He has been a contributing writer for GQ, The New York Times, ESPN, and Grantland.com. He has been featured on NPR’s This American Life and ESPN’s 30-for-30, and has appeared on CNN, ESPN, ESPN Radio, and WNYC. His book Game of Kings won the Quill Award for the best sports title in 2007. He lives in San Francisco, California.